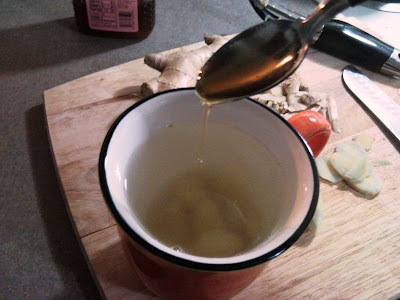 Bryson Michael's Blog: Getting a cold? 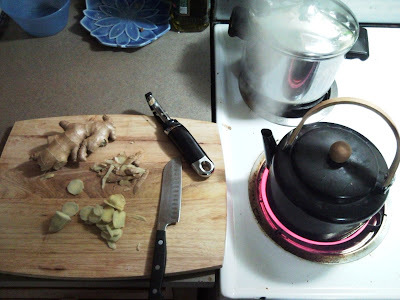 Make ginger tea! 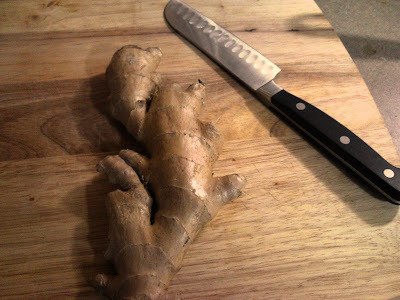 Ginger tea is very simple to make. This is my first time making it. Hack off a chunk from the root. For one cup you will only need a chunk about half the size of your thumb. 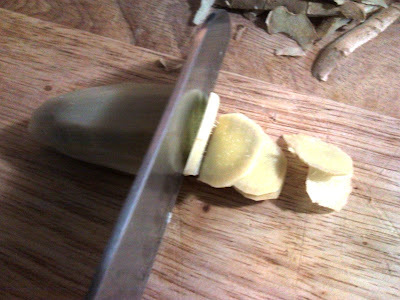 Cut into thin slices. 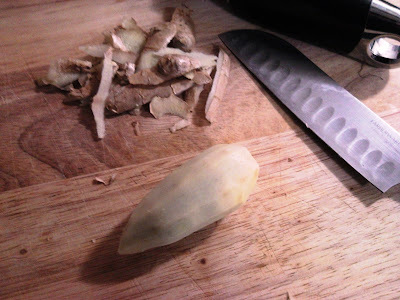 The thinner the better because the ginger is pretty dense and thin slices can absorb water better. Put the slices into a cup and pour the boiling water over top. 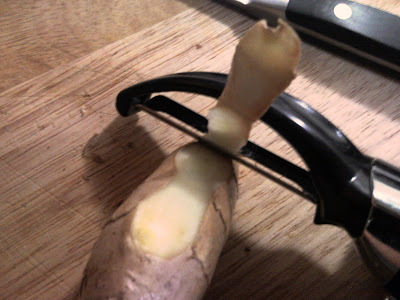 The ginger will float and settle to the bottom. Add some honey and you are done. Easy! If you have a cold make sure to drink plenty of fluids. Water and juices are best. Stay away from drinks that will dehydrate you. You should drink 8 glasses a day regularly, so if you have a cold you should double that amount. Don't forget about nutritious food, plenty of sleep, yadda yadda, but why am I telling you this, you already know the drill.